Schwartz, Sarah. “Schools Choose Not to Delete Facebook Despite Data-Privacy Worries.” Education Week. 6 April 2018. A school district page or group gives Facebook “another data point” on the users who visit it, said Doug Levin, the founder and president of EdTech Strategies, LLC. “Those profiles are made richer by schools pushing people in there,” he said. Some districts also have Facebook trackers on their district sites, which could give Facebook further access to the online activities of people in the school community. 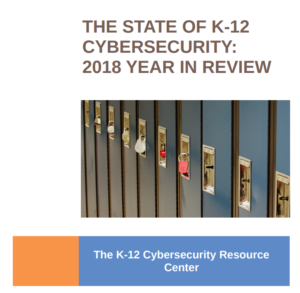 Levin’s recent research report, “Tracking: EDU—Education Agency Website Security and Privacy Practices,” found that more than 25 percent of the 159 school district websites he studied had embedded user tracking tools that reported information back to Facebook. These kinds of trackers can use information about users’ browsing history and other activity across the web—not just on Facebook—to [profile users and] target ads. Most school district websites that include these trackers don’t disclose in their privacy policies that the data sharing is taking place, according to Levin’s report.